Over the past couple of months we have been piloting a community clothes rail. The idea is to find new homes for preloved clothes where they are most needed, to encourage people to recycle and keep all the items free. We have been surprised with the success of these events. 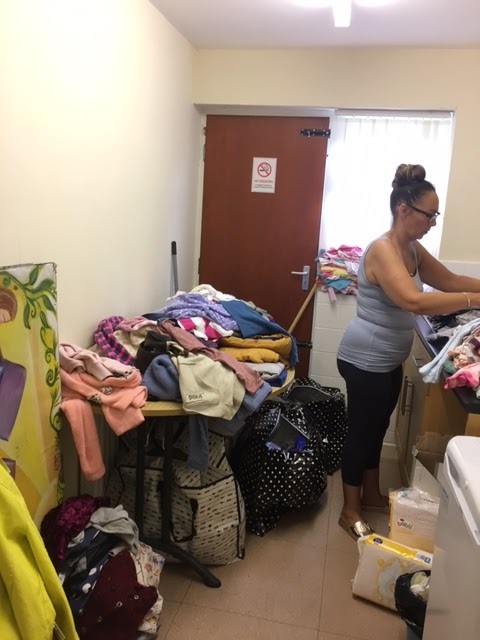 We have piloted our Community Clothes Rail through our family fun days and also a number of specific events with harder to reach communities. 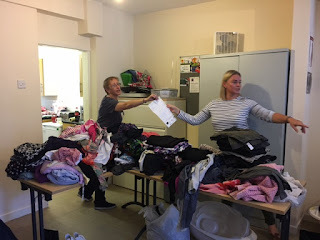 None of this would have been possible without a trusted group of volunteers who have been instrumental in accepting donations, sorting and labelling clothing ready for events. On Thursday 17 August 2017 we had a busy day at Cullen Street with our Clothes Rail event. We helped over sixteen families that day. We weighed in over 160 kilos of clothes that we diverted from landfill. Over the coming months we hope to hold at least two Clothes Rail events in the L1578 area each month. With the success of the Community Clothes Rail at other locations we decided to trial the pilot in the Dingle during our Loving Millennium Green family fun day on Thursday 31 August 2017. We assisted 11 families and 5 individuals and we recycled over 14 bags of clothes. And all the families were asking when we were coming back which was lovely. We enjoyed their company and it was a brilliant end to an eventful summer.